NEW DELHI (Sputnik) - Russia is ready to consider cooperation with India in a number of energy projects, including Far East LNG and Arctic LNG 2, as well as projects on natural resources development in Russia's Siberia, Yamal and continental shelf, Russian President Putin said on Friday. 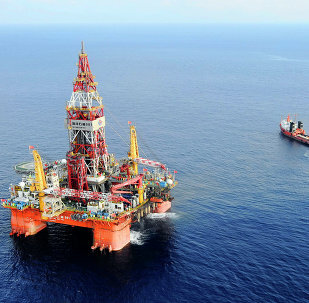 MOSCOW (Sputnik) - China's possible decision to increase its imports of Iranian oil could offset the negative impact of US sanctions on Iran's oil industry, Russian Energy Minister Alexander Novak said on Thursday. 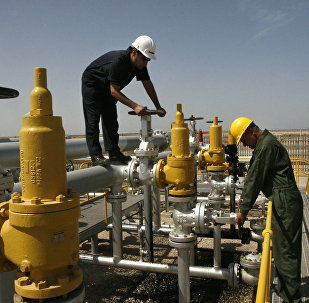 In August, Iranian Oil Minister Bijan Zanganeh said that the French company had officially withdrawn from the agreement on the development of the South Pars 11 project. 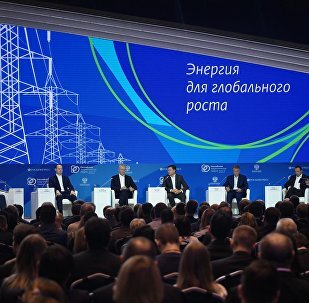 The Russian Energy Week in Moscow is set to be attended by over 6,000 guests from over 70 countries, with energy companies coming from Austria, Germany, China, Libya, Saudi Arabia, the UK, France and the US. 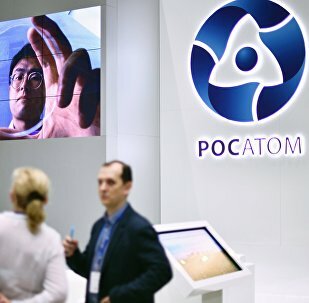 MOSCOW (Sputnik) - The Russian State Nuclear Energy Corporation Rosatom is negotiating possible construction of several dozens of nuclear power plant (NPP) units in different countries, Rosatom CEO Alexey Likhachev said on Wednesday. MOSCOW (Sputnik) - Russia is planning to boost the production of liquefied natural gas (LNG) securing a 20-percent share in the global market and producing up to 80-90 million tons of LNG per year, Russian Energy Minister Alexander Novak said on Wednesday. More than 6,000 guests from over 70 countries will attend the economic forum, with leading energy industry companies coming from Austria, the United Kingdom, Germany, China, Libya, Saudi Arabia, the United States, and France, among others. MOSCOW (Sputnik) - A North Korean delegation led by Electric Power Industry Minister Kim Man Su has left for Moscow to attend the Russian Energy Week international forum, the Russian Embassy in Pyongyang said on Monday. A highly critical report by MPs warns that Theresa May has failed to set out a solution to prevent a hard border in Ireland after Brexit and time is now running out. Sputnik spoke to Liam Kennedy, professor of economic history at Queen's University Belfast about the latest with the border issue. Sputnik spoke with Michio Kaku, an American theoretical physicist, futurist, and popularizer of science at the 2018 International Economic Forum (SPIEF). Dmitry Morozov, chief executive officer of the closed joint stock company (CJSC) and leading Russian innovative biotechnical company BIOCAD, has spoken to Sputnik about the country’s brand new medical technologies. 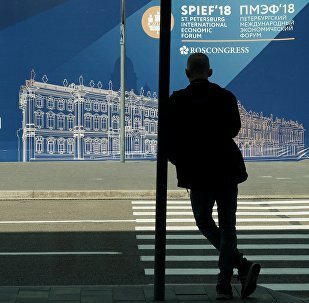 ST PETERSBURG (Sputnik) - The Saudi Arabian General Investment Authority (SAGIA) has agreed to continue a dialogue with at least 15 Russian companies in light of the results of meetings at the St. Petersburg International Economic Forum (SPIEF), SAGIA's deputy governor for investment, Sultan Mofti, told Sputnik on Friday. ST PETERSBURG (Sputnik) – Russian pipeline systems have no competition on the European market according to the price of gas for consumers, Russian President Vladimir Putin said Friday. ST PETERSBURG (Sputnik) – Russia’s Rosneft said on Friday it had signed a memorandum of understanding on potential cooperation in implementation of projects in Africa with Nigeria’s Oranto Petroleum Limited. 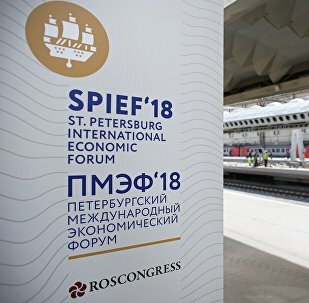 The 2018 St. Petersburg International Economic Forum (SPIEF) kicked off on May 24, in an annual three-day event that gathers business representatives and top politicians. Speaking to Sputnik, Pekka Viljakainen, Senior Advisor to the President of the Skolkovo Foundation, has lauded the SPIEF in light of burgeoning Russian-Finnish relations. ST.PETERSBURG (Sputnik) - Russian-US economic cooperation, including revenue of the US businesses which operate in Russia, is expected to continue growing in 2018 despite the tense political environment, Alexis Rodzianko, president and CEO of the American Chamber of Commerce (AmCham) in Russia, said on Friday. ST PETERSBURG (Sputnik) – The Organization of the Petroleum Exporting Countries (OPEC) and 10 other major oil producers reached a conformity level with oil production cuts under the Vienna deal of over 150 percent in April, Energy and Industry Minister of the United Arab Emirates (UAE) Suhail Mazroui told Sputnik on Friday. ST PETERSBURG (Sputnik), Anastasia Dmitrieva – US sanctions against Iran may limit the country’s oil exports between 300,000 and 1 million barrels per day, BP Group Chief Executive Bob Dudley told Sputnik on Thursday. 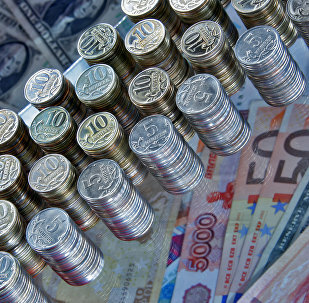 ST PETERSBURG (Sputnik) - Russia is ready to use euros rather than US dollars in foreign trade if the European Union declares its stance against expansion of the US anti-Russian sanctions, Russian Finance Minister Anton Siluanov said Thursday.